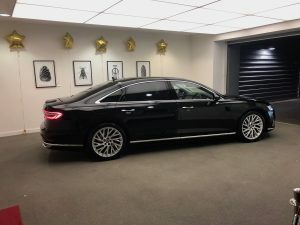 BRAND NEW AUDI A8LWB with fridge for everything chilled. 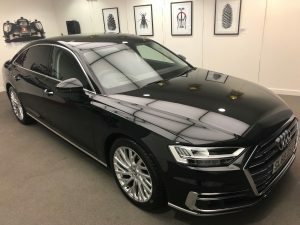 This car is an absolute dream with so many toys, rear comfort is first class complete with remote control for you to operate all your comforts , including reclining seats, heated seats , matrix lighting and so much more, you can even set your music channel all from the remote in your hands.. The fridge is out off this world so cool you have to see it to believe it.